While sharing our images on social media, sometimes we need to take out unwanted objects from images. It can be a street sign, shadows or an unwanted person who enters suddenly into your click in the crowd. The fact is that we cannot get a perfect picture all the time, but yes, we can make them look perfect with few simple tricks. Some software experts have designed creative apps to remove unwanted objects from photos. In this article, we are going to discuss some of the top rated application that works perfectly on iPhone. Prefer to go through these details to make your editing task much easier. Powtoon is an awesome video creation platform that enables anyone to create professional-looking and engaging videos and presentations in minutes, without any design or technical skills.Enjoy your exclusive 15% on annual plans now! Most of the professionals trust on this dedicated retouching tool that is loaded with a variety of features. 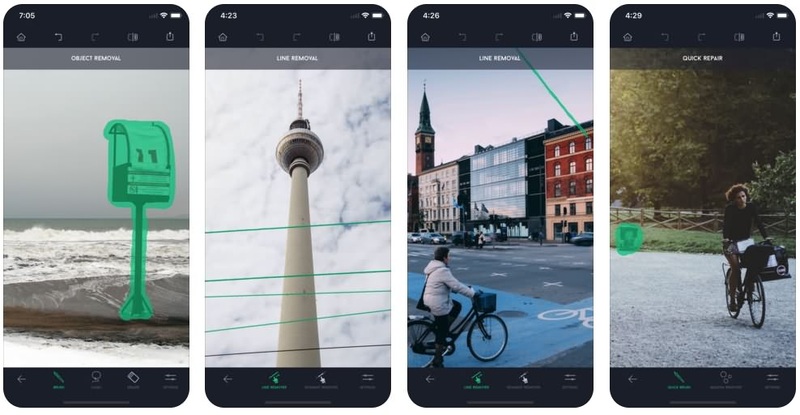 The expert software developers at Adobe have added some of the best healing tools to this app so that users can easily adjust the hardness of spot heal, manage the size of the brush and adjust it easily over unwanted objects in the images. Also, you will be able to access clone stamp and patch tool on this platform. If you want to change the background with another photo, you can easily find the photos you need on the free stock photo sites. How to remove the unwanted object with PhotoShop Fix? Step 1: Import your editable image in Photoshop. Step 2: Select the pen tool and create a path around the unwanted object. Ensure little spacing on edges to lead fine results. Step 3: Now turn the created path into a selection. To do this, simply right click on the path and from the drop-down menu chose “Make Selection”. It will open a box where you have to set Feature Radius equal to 0 pixels and hit Ok. Step 4: Go to edit and choose Fill. In the dialogue box, choose the content aware option with normal blending mode and 100% opacity and then hit Ok. This clever app assists iPhone users for object removal. The process is quite easier, even beginners can complete it with ease. A simple brush can magically make things hidden from images. Users can access Clone tool and Selection tools to edit their images on this platform. How to remove the unwanted object with TouchRetouch? Step 1: Open TouchRetouch app and import your image into this app. Step 2: Choose output image resolution. Step 3: In order to remove any unwanted object from the image you can either select Lasso tool or Brush tool. Step 4: If you choose brush tool, select the size of the brush and then use your figure to draw over the unwanted object. If you choose Lasso tool, draw a continuous line around the object. Step 5: Hit the start button from the bottom of the screen and soon the selected object will disappear. Many people consider Pixelmator as the best alternative to Photoshop due to its awesome editing tools. In this repair tool, users simply need to brush over the unwanted elements. The clone tool will assist you to copy one part of the image and fix it at some other part. This tool can easily meet requirements of photographers, artists, and graphic designers. Can handle pictures up to 100MP size. Supports many popular file formats including PNG, JPEG, and PSD etc. Loaded with precise selection tools. Easily blend, merge, group and insert layers into the image. Store and access all images directly from iCloud Drive. Here is an advanced editing tool from Google that has a variety of selection tools. This app is not so good to hide large objects from images but it performs better for removing small particles like pimples and dust etc. You will not find advanced healing tools such as lasso and clone stamp in this app. How to remove unwanted objects with Snapseed? Step 1: Get your photo loaded to the tool platform and then hit the editing icon from the bottom right corner of the screen. Choose healing option from the list. Step 2: Simply draw over the area that you want to remove using your finger. You can check minute details by zooming the image. Step 3: Once your editing task is over, tap on the save option. Here is another creative editing tool with multipurpose features. Although this app does not have many features but it is rated little higher as compared to Snapseed. Here you can find a clone stamp tool, patch tool and heal brush that are missing in Snapseed. Other than this, Enlight is loaded with creative blending modes, layers, special effects, fonts, brushes, film, tonal adjustments, and duo presets. It is loaded with smart quick selection brush tools that ensure efficient results in minimum time. Easy to control and adjust color, tonality, grain, fade, vignette, intensity, structure and many more. It is possible to apply creative duo filters along with beautiful gradients. One can remove defects from images instantly using object remover and quick blemishes tool. Photo sessions are saved automatically. Simply cut and paste to copy one part of the image to another. 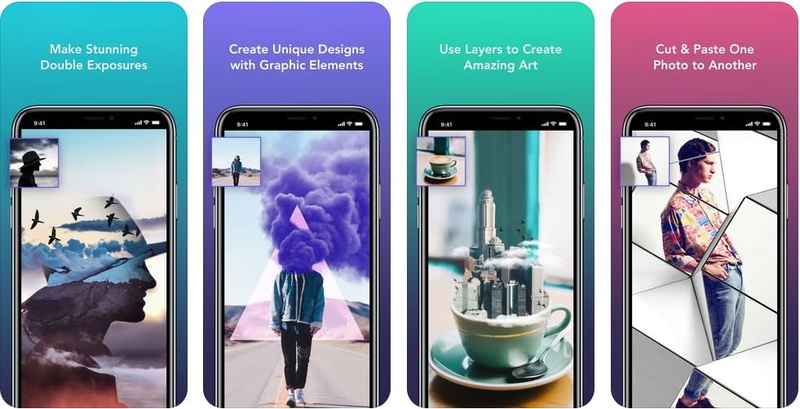 Enjoy layer based editing and creative photo mixing features. While editing on your phones may have some limitations, and if you want to remove the objects on your computer and perfect your images with more effects, we recommend you to try Wondershare Fotophire. With Fotophire, you can remove the unwanted objects from photos without affecting the image quality easily and retouch it according to your needs.